Amazon 现在这套食物量杯 Rachael Ray 5-piece Cucina Melamine Nesting Measuring Cup Set 降价后 for just $10.49 (regularly $14.99)! 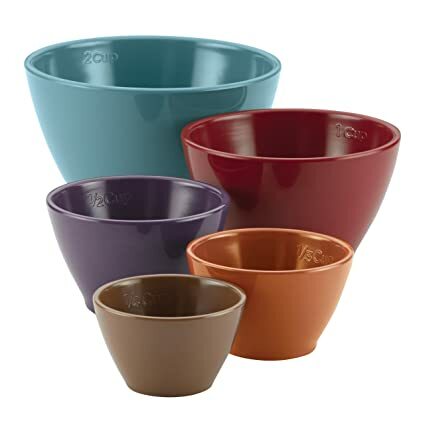 This set includes five no-fuss nesting measuring cups in standard sizes for cooking, baking, prepping! Constructed from sturdy BPA-free melamine, these cups stack inside each other from small to large and are dishwasher safe.